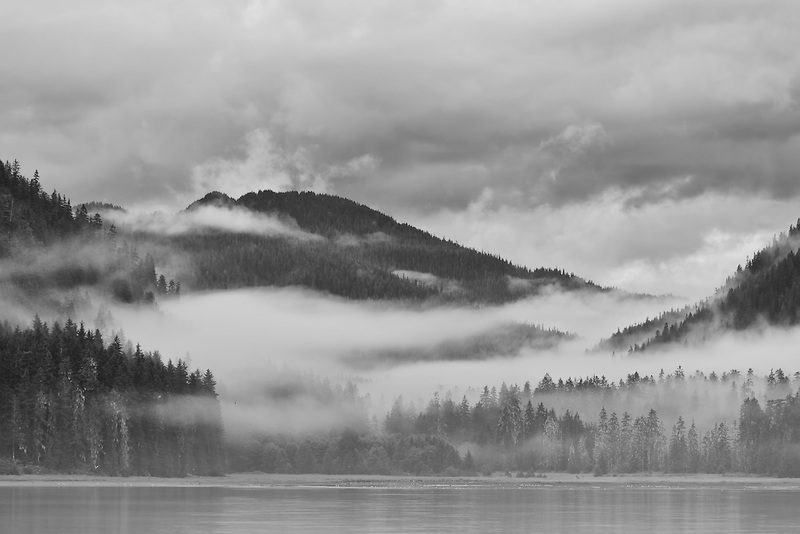 Low hanging clouds and fog shroud the mountains of Admiralty Island National Monument near the tidal flats of Windfall Harbor in the Inside Passage of Southeast Alaska. Tongass National Forest. Summer. Morning.